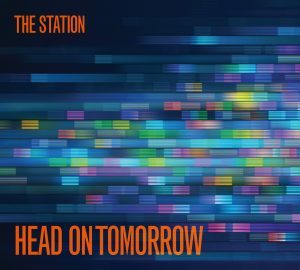 The Station is excited to announce the release of its new album “Head On Tomorrow.” A tremendous amount of work has gone into this record and we can’t wait for you to hear it. Here’s a sneak peak of the album cover. “Head On Tomorrow” will be released Friday, August 11th, 2017 and we will celebrate at The Curve Inn. The Bermuda Triad will start the show at 6 p.m. and will be followed by Nick Bifano & The Innocents. The Station will play from 8 until 10 p.m. Compact discs will be available to purchase at the show. We hope to see you there! The album will be available for digital download from major online music retailers at a future date.